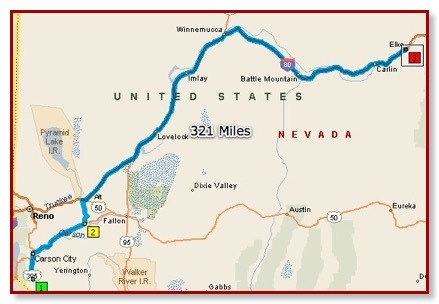 After getting refreshed and rejuvenated, we headed north and west out of Minden/Carson City/Reno to I80. After considering US 50 east to Colorado, we opted for I80 because the night time temperatures in Ely (our likely overnight stop) were going to be in the teens. We actually prefer US 50 because, although it is dubbed the loneliest road in the country, it always seems to have something unique and fun. Once we saw a teenager on the edge of the road practicing roping in preparation for a rodeo. 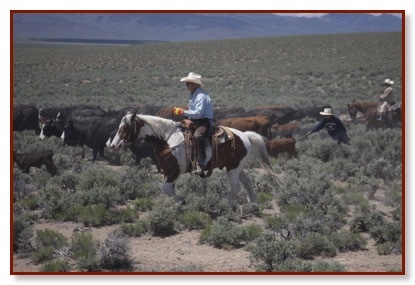 On the same trip, we came across a cattle drive along the edge of the highway. But it wasn’t in the cards this time. All the routes take about the same time and are within 50 miles of each other so I80 was a reasonable alternative. The highlight of this leg (there weren’t many) was our destination. The RV Park (the Iron Horse RV Park) was super and our meal was a kick. We ended up at a Basque restaurant. For those of you that are unfamiliar with a Basque restaurant, it is generous basic fare served family style. And it is a very pleasant environment.